It's not easy for consumers to connect with a brand that deals in complex, intangible products. 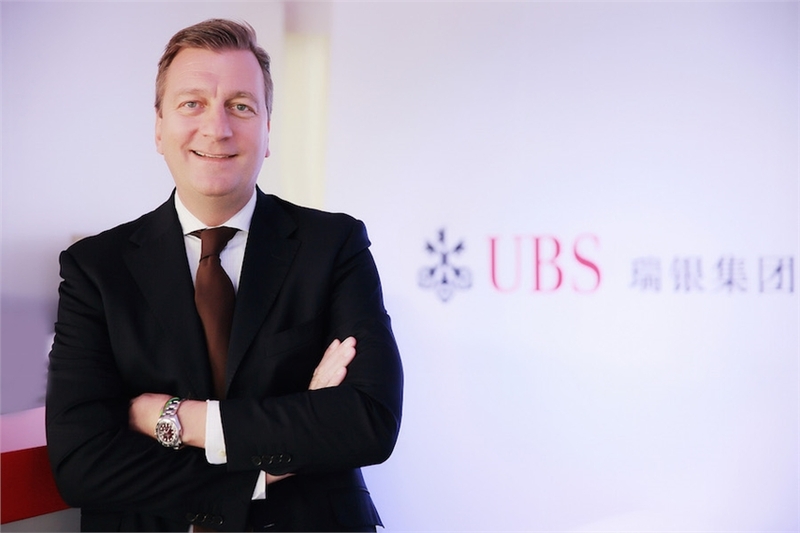 That's why UBS has turned to the economic equivalent of Olympic athletes, says group chief marketing officer Johan Jervoe. In an industry that never lacks for buzzwords, one of the current favourites is ‘experience’. Or, as Johan Jervoe, group chief marketing officer of UBS banking group, calls it, "touching the brand". In previous senior marketing roles at McDonald’s and Intel, this was relatively easy. For one of the world’s largest financial institutions, not so much. "I used to work for McDonald’s," Jervoe tells Campaign Asia-Pacific in a recent interview in Singapore. "There’s one on every corner. When you walk into the store, you walk into the brand. For UBS, we’re a global brand with a very tight target group. That experience piece is for sure smaller than maybe for one of our competitors that has a global retail network." But it remains possible. For Jervoe, it’s about bringing everything back to the theme that runs throughout our conversation: humanity. Thus for UBS, it’s about redefining the challenge. "The experience [for customers] is the daily execution in meeting with our client advisor," he says. "It’s that experience we need to be cautious about, because it isn’t the marketing gig where we put on something and lots of people show up. That’s also nice, but it’s not that. Few brands have been really good in that arena." That is not to say UBS has not been trying in the activation space. 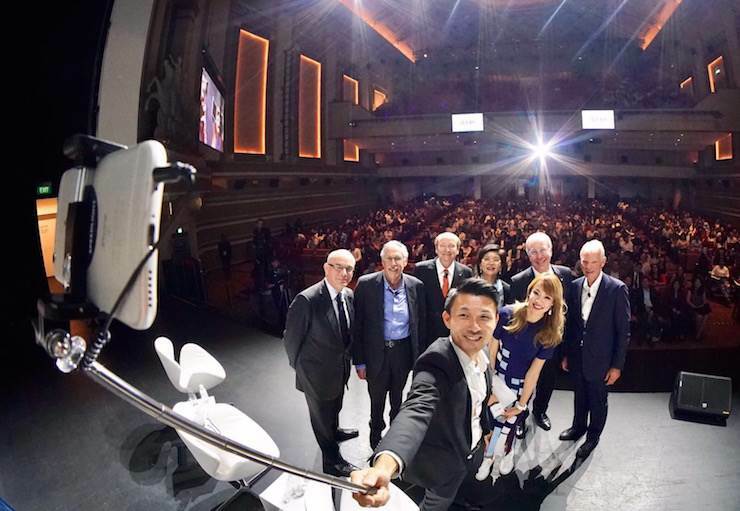 Jervoe is in Singapore to launch the bank’s "Nobel perspectives live" campaign, which sees four Nobel Prize-winning economists present before more than 1,000 Singaporean university students. It is an extension of UBS’s Nobel Perspectives online platform, launched in October 2015, which offers academic papers and video interviews with several of the world’s economic Nobel laureates. Jervoe, above, says Singapore was chosen as the global launch site for the live events "because of the commitment UBS has to the importance of Asia, and also it’s a hub for wealth management". To have four of the brightest economic minds share a stage to talk about the future of the global economy is an eye-catching prospect. For Jervoe, it’s about UBS promoting its identity as a brand that seeks to answer the big questions openly and with the best expertise. "If we were a running shoe manufacturer, we’d work with Olympians," he states simply. "The Olympians of our industry are the Nobel Prize-winning economists. It’s their ability to think in the long-term, in decades, which really resonates with what a lot of our clients have told us—that they want long-term perspectives. We are communicating our commitment to this through our partnership with the Nobel laureates and their perspectives." UBS has form for seeking to change how banking communicates with people. Last year the bank partnered with photographer Annie Leibovitz to host an exhibition to mark the changing role of women, which toured the world. Jervoe says its all part of UBS’s shift, post financial crisis, to create a tone that is "concise and precise with a little bit of charm", rather than overwhelming consumers with sophisticated financial messaging. "The financial industry felt emotions didn’t have a role to play in the way we communicate and that’s just utterly wrong," he says. "Brands and humans are very similar. You don’t really want to go for dinner with somebody that’s utterly boring, very sophisticated and you don’t connect with them. You want to go with somebody that it’s fun to be with. You have to connect better with people." Bringing the live element to the "Nobel perspectives" campaign completes the circle on what Jervoe believes is a key element to effective modern marketing: the thoughtful balance between online and offline. "We marketers tend to overdo the online piece," he opines, which has led to a deluge of digital content that is massively counterproductive in terms of brand building. Fewer things, deeper and better, is his mantra: "one campaign, thought about holistically, that comes alive in the physical and online". "There’s this attitude of ‘if you don’t have money to push something out or distribute widely, let’s just put it online’," he says, "and it [online] becomes this graveyard of too many things that nobody is looking at." Similar behaviour occurs on social media, says Jervoe. It is a vital and effective channel, he agrees, but only with strategic use and deeper understanding of its ROI. "Instagram, for example, is for something aesthetic. That’s not who we are. Yes I can put up our Annie Leibovitz work, and that’s definitely aesthetic, but does it really say a lot about what we do?" he asks. "How much is a ‘like’ worth? I’m not sure. I’m not sure I care. If it’s really about sales, is a ‘like’ good enough? Does it take 10 likes to get to a sale? I don’t know. That’s where we really need to understand where we’re going." For right now, Jervoe is focused on providing fewer, better-planned campaigns, and "Nobel perspectives live" is a good representation of the goal. "The way we want to communicate what we actually do is to bridge the knowledge or perception gap and say it’s about people and having an impact on society," he says.